A celebrity following and world renowned customer service have turned the Palms Casino Resort into one of Las Vegas' most desirable destinations. This contemporary resort boasts extraordinary accommodations, distinct nightlife and a diverse mix of award-winning bars and restaurants across a 95,000-square-foot casino. 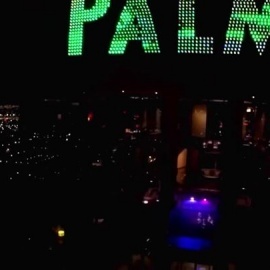 Just minutes from the Las Vegas Strip, the Palms is home to the glittering Ghostbar, made famous on MTV's The Real World: Las Vegas. An array of dining options such as the Michelin star-rated Alizé, celebrity hot spot N9NE Steakhouse, and a new authentic Chinese dining experience from Chef Tony Hu, Lao Sze Chuan. 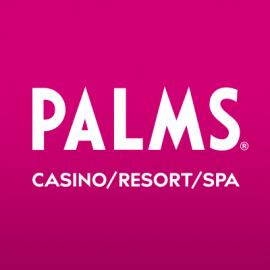 Palms has played host to MTV's 2007 Video Music Awards, Bravo's Celebrity Poker Showdown, E! 's Party at the Palms, and A&E's Inked, but it's the resort's unique amenities and exceptional customer service that set this boutique property apart.